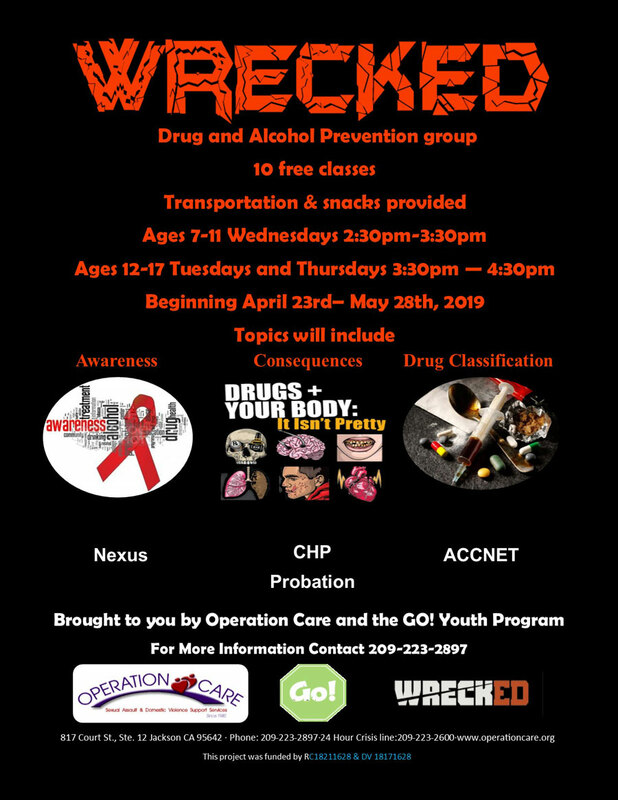 WreckED Drug & Alcohol Prevention group is a FREE 10-session workshop sponsored by Operation Care and GO! Youth Program. Learn strategies for dealing with peer pressure, drug classifications, and consequences of using drugs. For more information and new starting dates call 209-223-2897. FREE Transportation provided.